Hey, there, strawberry babycakes with whipped cream on top, remember my latest giveaway? Shut up, you know you do. 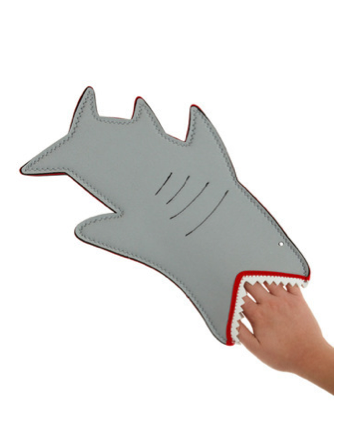 Rock on, Andrea–start mauling your mail delivery professional daily for news of your incoming shark attack. In other news, my site may experience a little downtime tomorrow due to some technical nonsense that simply must occur, lest the universe blow up and everything cease to matter. Hopefully Bad Mama Genny will only have a run in her virtual fishnets very briefly, after which time she will be up and running again, and continuing to refer to herself in the third person. Until then, I’ll still be on Twitter. Collective sigh of motherfucking relief, all y’alls!